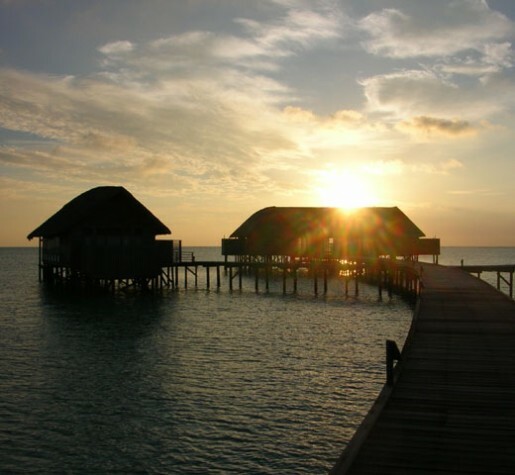 Cocoa Island is a small, private island resort designed for those seeking an easygoing, foot-in-the-sand experience. The rich, warm waters and bountiful coral also promise some of the world’s best beaches, snorkeling and diving. Most of Cocoa Island’s rooms are uniquely inspired by dhoni boats, the style of vessel used by local fishermen. They are adjoined by simple wooden walkways built above the shallow lagoon. From your room, walk out on to a private terrace and slip into a warm Maldivian sea. The view from the wide platform bed is directly out to the watery expanse. The bathrooms, a bath and shower, share the horizon views. Interiors are quietly contemporary with a nod to local rusticity in Maldivian kajan roofing. Eight, split-level bedrooms have king-sized or twin beds. The spacious living area leads onto a chic private sundeck with two chaise lounges, a dining table and direct access to the lagoon. A highlight is the sitting area with an outsize Balinese-style day bed. The bathroom is large with a double-ended tub backed by a mirrored wall. These suites are distinguished by bedrooms on a mezzanine level beneath the rafters. You enjoy commanding views through the floor-to-ceiling windows, the ocean light softened by sheer white drapes. They are among our most popular rooms because of the expansive living areas. A staircase leads to the loft, fitted with a king-sized bed and ensuite WC. There’s a bathroom on the lower level as well as sundeck with direct lagoon access. With full-length windows overlooking the Indian Ocean, these villas with expansive sundecks bring the outside in. The loft area is fitted with a king-sized bed and ensuite WC. The main bathroom features a double vanity unit, bathtub and shower stall as well as a secluded outdoor shower with steps into the lagoon. A private entrance deck leads into a calming, light-filled space. The bedroom features a comfortable king-sized bed and an ensuite bathroom with an island bath, separate walk-in and outdoor showers. The spacious living room leads to the private sundeck with direct access to the lagoon, the interior style including chic whites, teaks, and contemporary, hand-finished furniture inspired by the colonial traditions of Southern India. COMO villas, both the king-size and twin-bedded rooms each have an ensuite bathroom with a bath, indoor and outdoor shower and private sundeck.They also have a pantry with microwave, stove and fridge. The spacious living room offers striking views of the turquoise lagoon through full-length windows. Four decks overhang the lagoon. Personal butlers attend to every request, making this the ideal family house for those with older children. 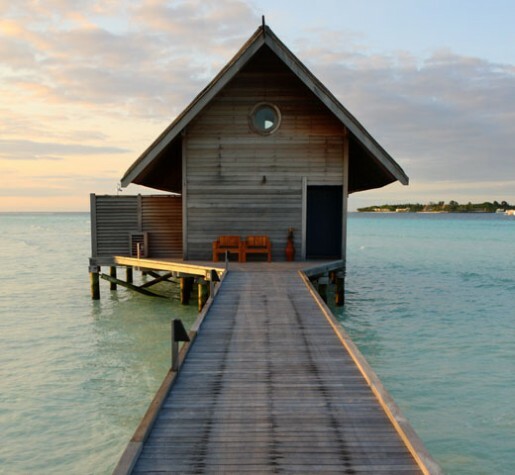 The COMO Sunset Villa is further distinguished by its own jetty, allowing private access to and from Cocoa Island.